Concrete decor seems to be all the rage. 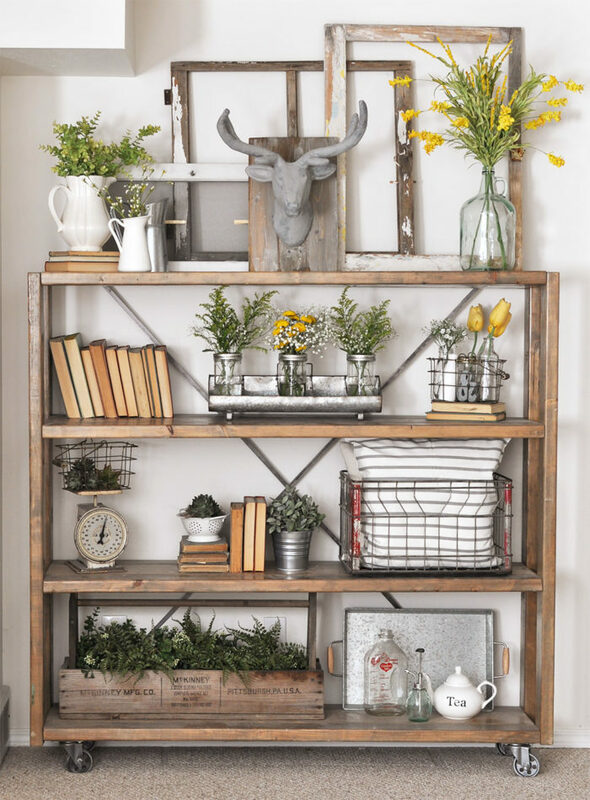 That rustic industrial look feels right at home in a farmhouse style home. I have done a few projects but have been inspired by so many more. I thought I would share my 10 favorite ideas here with you today. Make one of these or get inspired to make your own creation. Click on each link below to be taken to the instructions to make each project. I personally love a faux concrete finish that looks real. It is easier to make and so much lighter! This is a great recycled project as well. A boxwood topiary? Yes please! 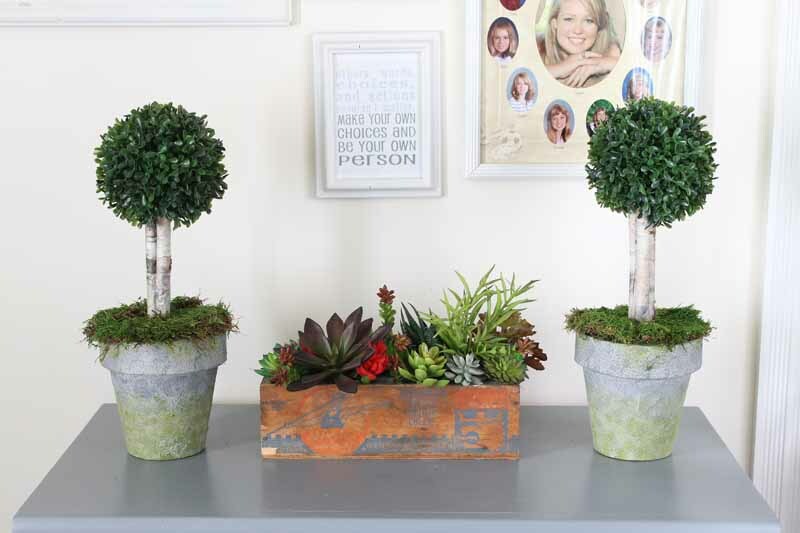 Put it in a concrete pot and you have a doubly good concrete decor idea. 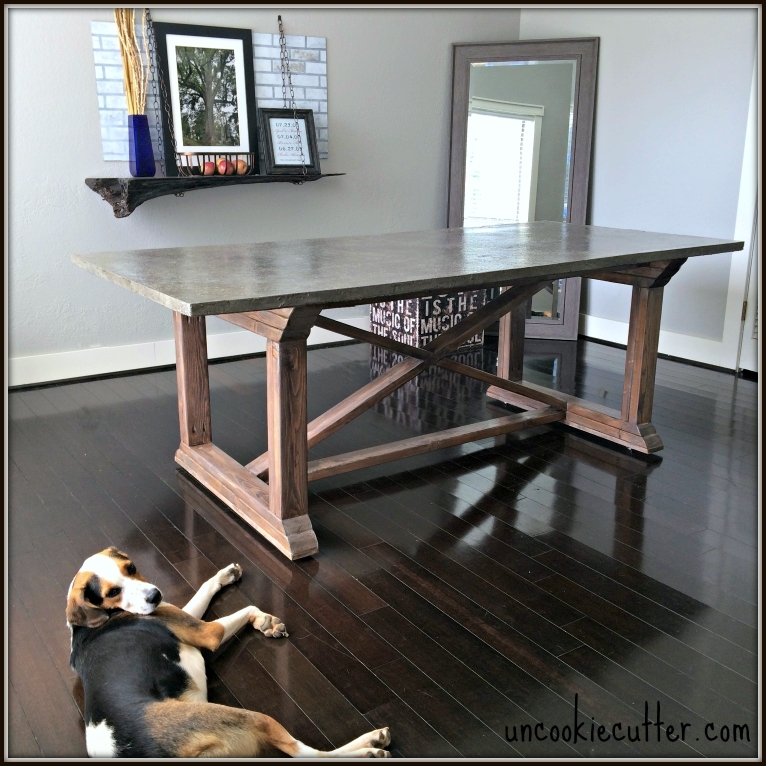 Yes you can make an entire dining room table out of concrete. Awesome right? 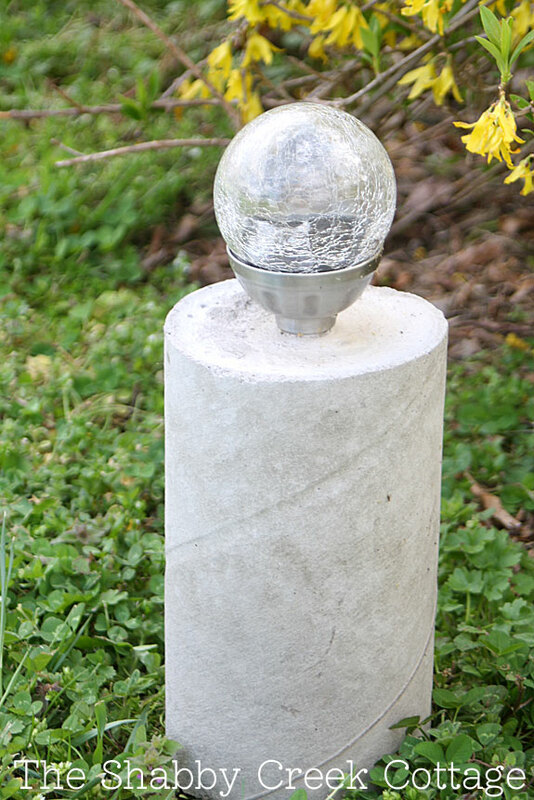 Concrete is the perfect medium for making outdoor decor items. I love the look and feel of these solar lights. I am not the only one in love with a faux concrete finish. Use this same technique to make a deer head for your home. 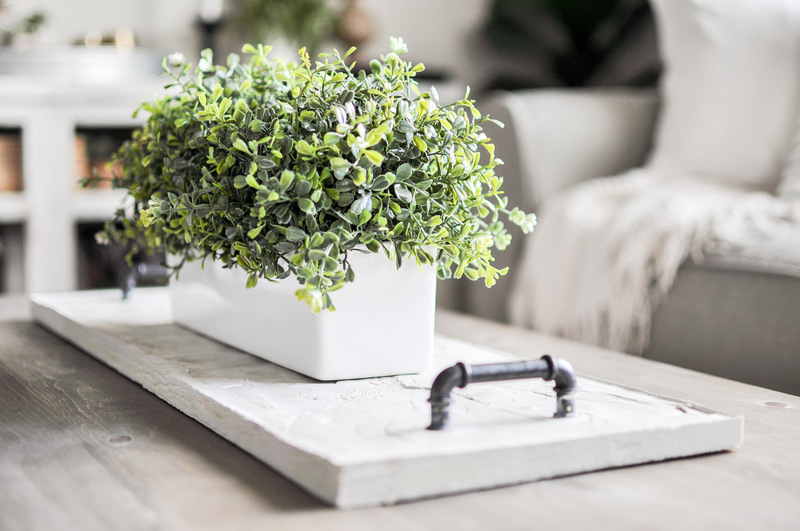 Pour concrete to make a serving tray that has a rustic industrial feel. 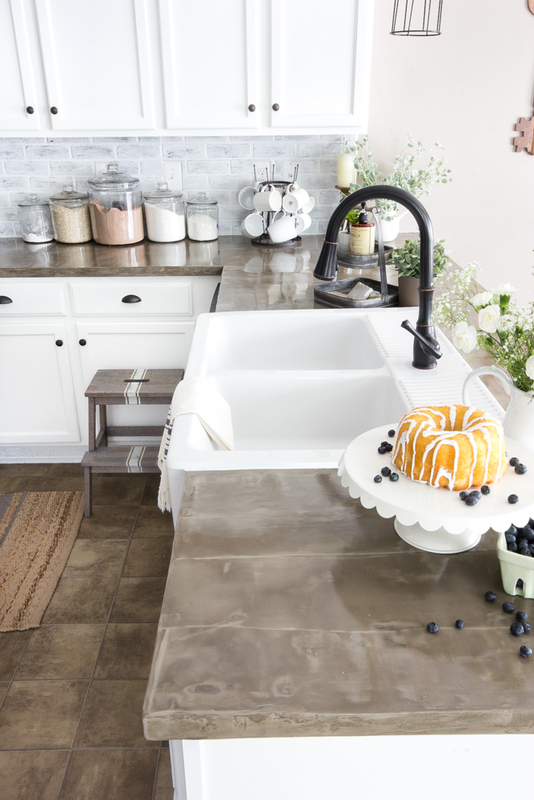 No concrete decor post would be complete without a mention of concrete counter tops. I love this post because it gives you the good and the bad of this counter top material. 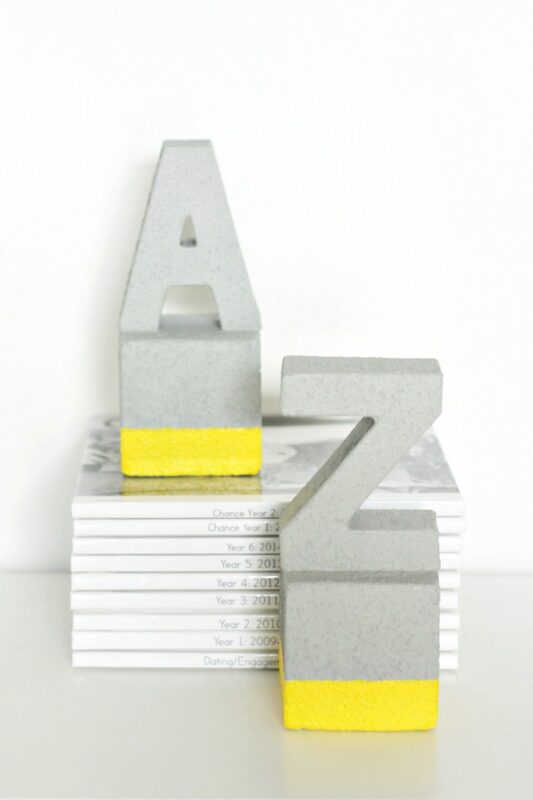 Bookends are the perfect thing for concrete….but you can go faux with these as well! 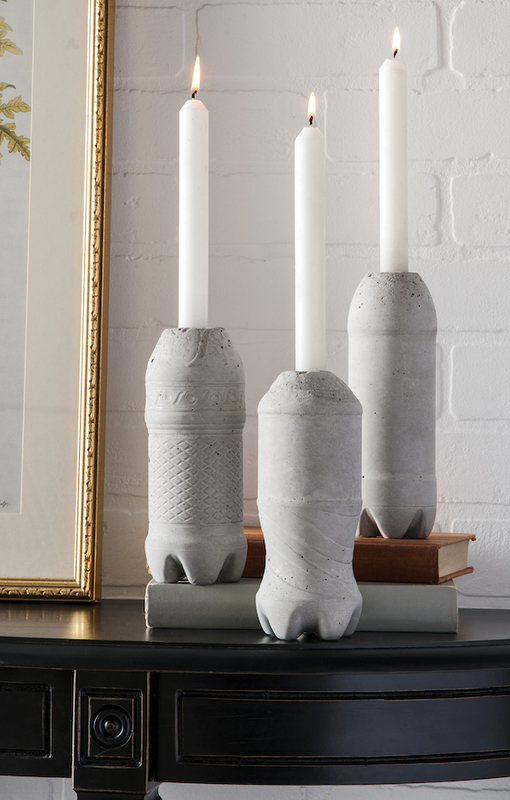 Add concrete to plastic bottles to make one of a kind candle holders that will look great in your home. 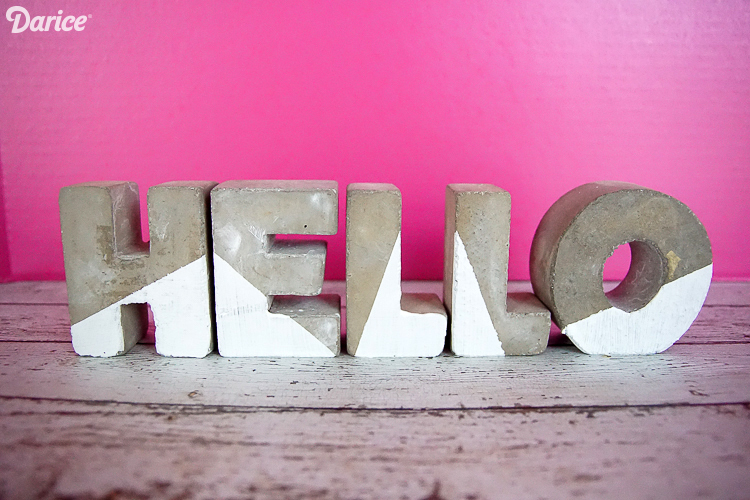 Simple letters are the perfect way to start with concrete. Adding a splash of paint is optional. 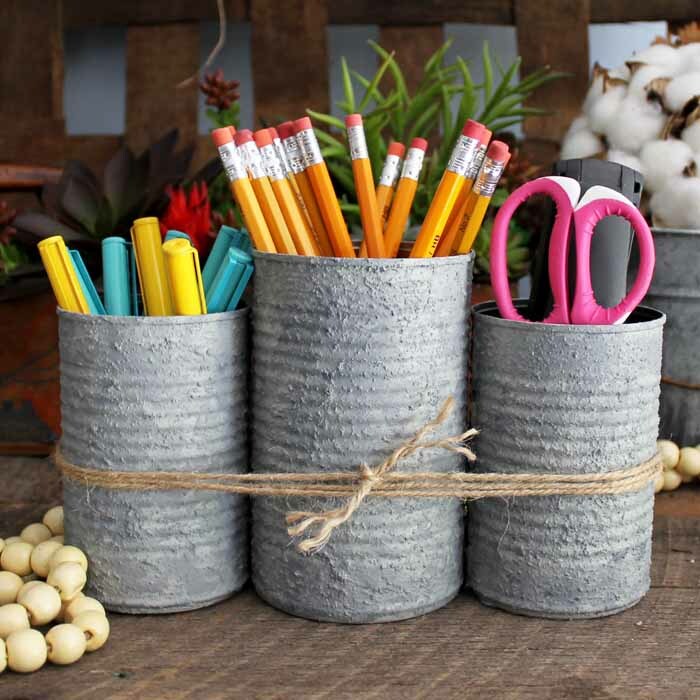 Try these concrete decor ideas around your home for a rustic industrial look that you are sure to love. Whether it is faux or real, you will love some concrete in your home. 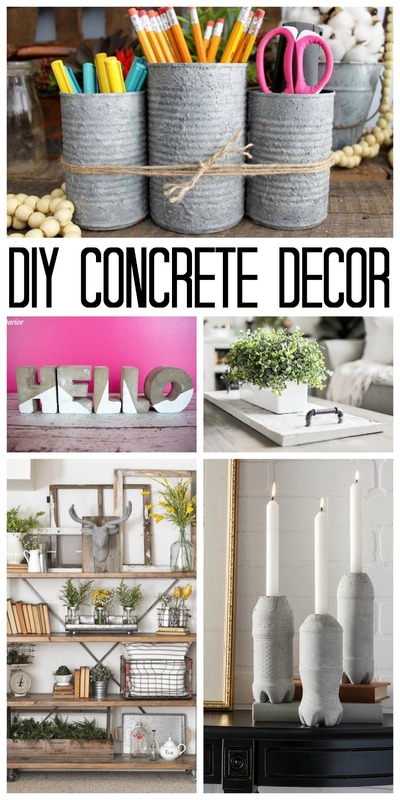 Love this but don’t want to make your own concrete decor? You can buy it instead! Use the Amazon widget below to shop. Remember that any links below are affiliate links which means that you do not pay anymore however a portion of your purchase will go to support this site. Happy shopping! What a fun roundup! Thanks for including my table :).